To Mix or Not to Mix Metals? That is the question. 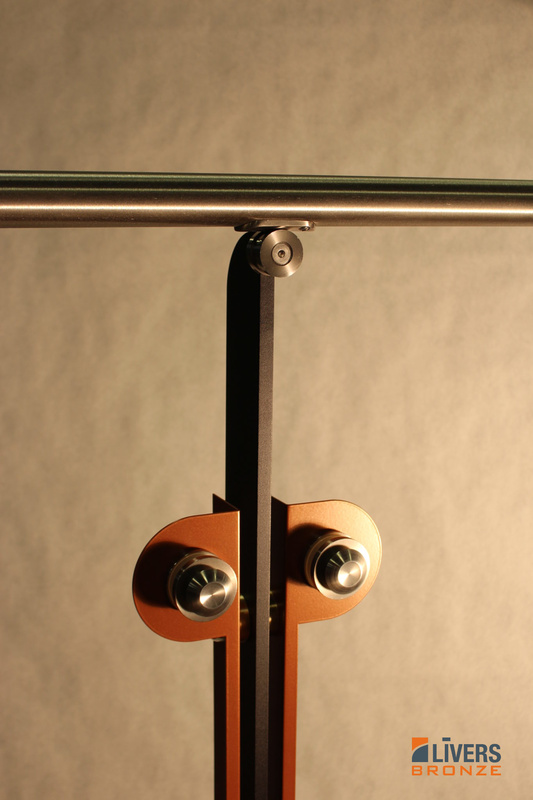 The Matrix railing system is inspired by the appeal of mixed metal jewelry. Multiple finishes are available and interchangeable, allowing for a completely customized look. 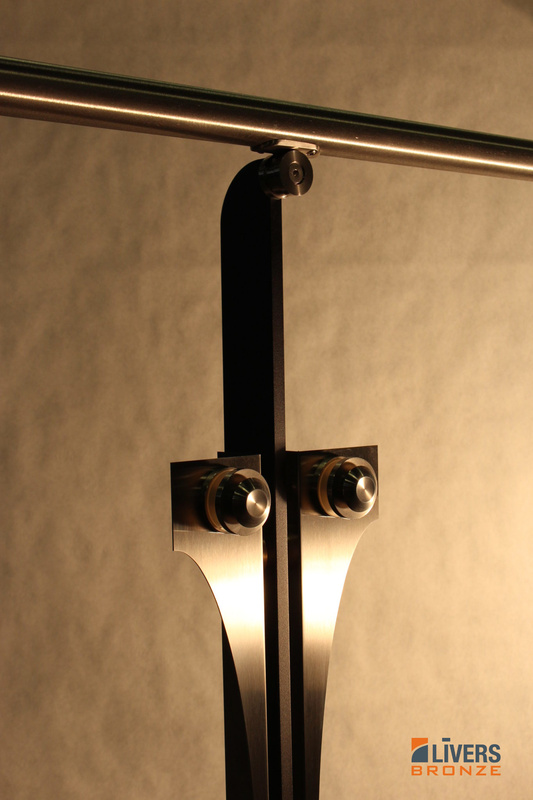 Finish options include blackened steel, polished aluminum, satin and polished stainless steel, and antique, satin or polished bronze. Intermix them or not to achieve the perfect complement to any motif or design. Matrix’s clean design makes it uniquely flexible.It places the mix of metals and choice of infill panels in the spotlight, which is valuable for architects who lean toward putting their exclusive stamp on the overall look. 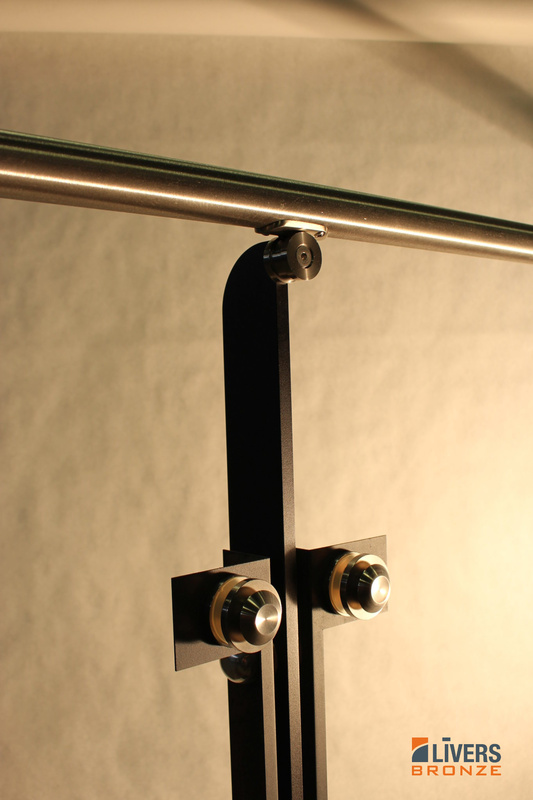 The system’s distinctive glass support buttons handle 3⁄8" or 1/2" tempered or laminated glass panels. There are many post mounting options and, like all Livers railing systems, Matrix is a solid, pre-engineered system and will endure a lifetime.